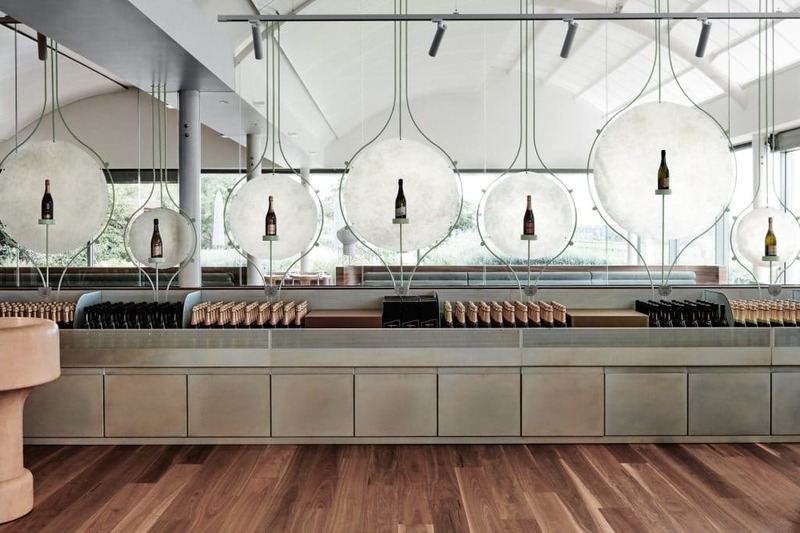 The Domaine Chandon name has long been synonymous with quality and prestige, and now with the unveiling of their new cellar door and private tasting rooms, this Australian outpost proves they are a cut above the rest for an unparalleled tasting experience in the Yarra Valley. The scenery at Chandon has always been one to marvel at, but now the interiors are as much a sight to see as the sweeping valley views. 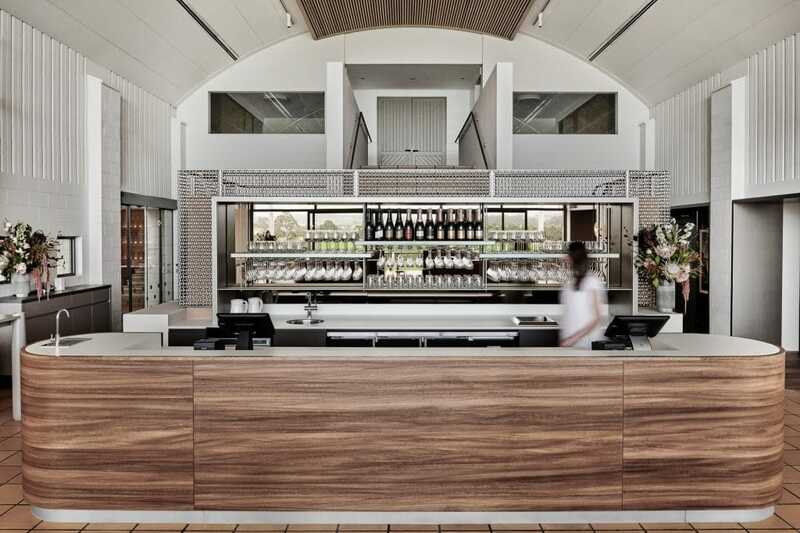 With an elegant and opulent designed cellar door that truly captures the sophistication and class you would only expect to find in a sleek Melbourne wine bar, now in the heart of the Yarra Valley. Lounge bar with kinetic mobile centrepiece and vine views. Upon entering the newly refurbished hospitality centre, your eye is instantly drawn to a mobile centrepiece which graces the new lounge bar area. 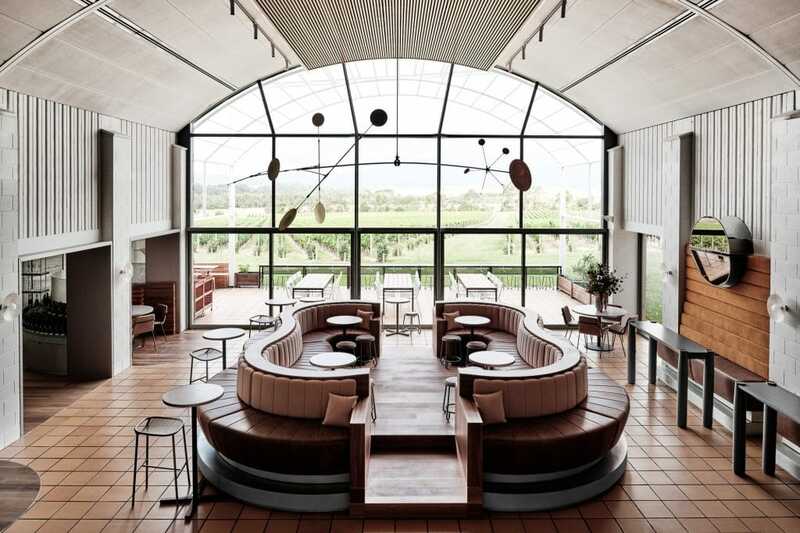 The ideal setting to linger while enjoying a flute or two of the sparkling wine that has made this winery one of the most visited in the Yarra Valley. Retail Boutique at the newly renovated visitor centre. 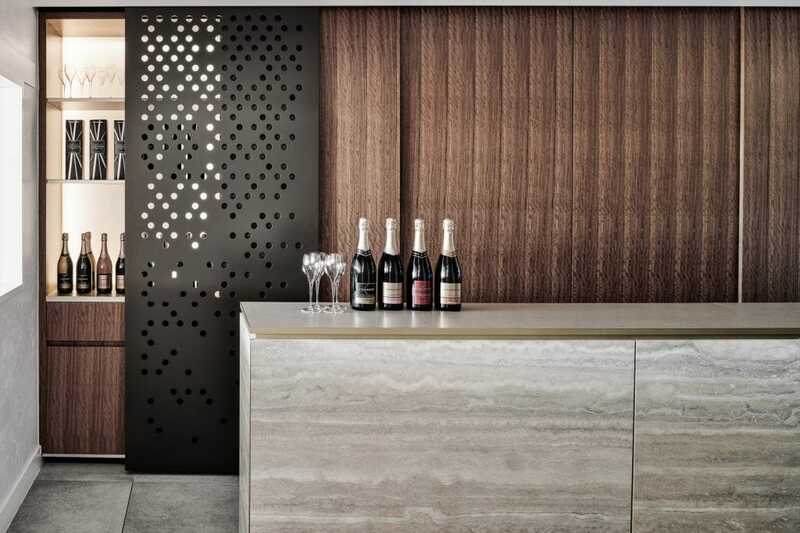 The restaurant and retail boutique also sees new life, offering an experience worthy of the fine wines being produced by the honorary home of sparkling wine. Private tasting rooms for larger groups treat visitors to a unique experience, hosted by the most knowledgeable of staff who take the business of bubbles very seriously. Premium range of sparkling wine ready for tasting in the lounge bar. Private tasting room for groups. The great thing about a visit to Domaine Chandon is that everyone is welcome and all levels of interest are catered to. From a detailed Splash tasting of 6 wines for those keen to learn what goes into the making of this famous drop, to those wanting to relax with a glass of the expertly prepared Chandon S cocktail while gazing at the surroundings. One thing is for certain, every detail is intentional and nothing short of the very best is to be expected. 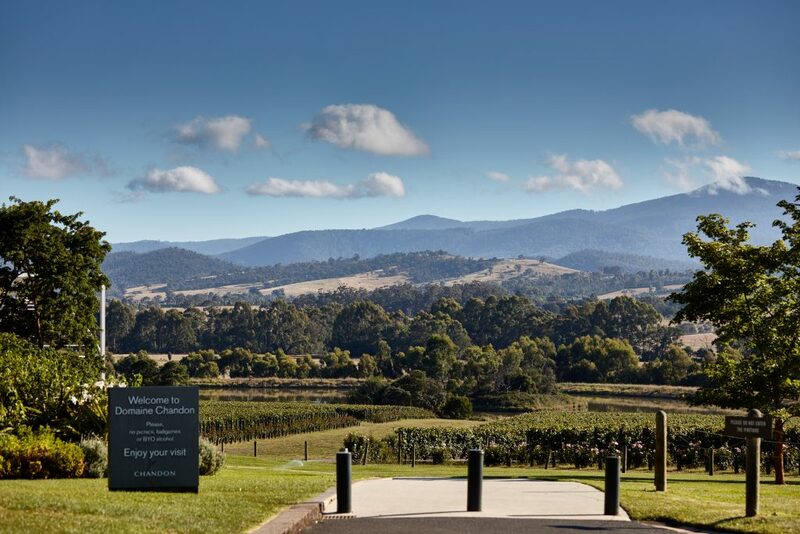 To include Domaine Chandon in your itinerary, head to our Yarra Valley page to enquire about a tour today. Stunning views from the grounds of Domaine Chandon.